Contact Us TodayWe think your visit to the dentist should be a comfortable and relaxing experience where you're treated with dignity and respect. If you're looking for a dentist in Aptos, Santa Cruz, Capitola, Soquel or the surrounding areas, we offer exceptional dental services for every member of the family. From oral exams to teeth cleaning and fillings, we treat all members of the family, young, elderly, and special needs and are committed to providing the best dentistry services in Aptos and the surrounding areas. If you have dental anxiety and fear, or special needs, we offer sedation dentistry and sleep dentistry treatments for those of you who want to virtually sleep through your dental visit and wake up to a new smile. Aptos dentist Dr. Heidari and the Creek View Dental Group specialize in the dental restoration of your natural teeth, gums and tissue that have been damaged due to trauma, infection or decay. If you’re wanting to have a brand new smile, Dr. Heidari utilizes the latest in cosmetic dentistry and smile makeover procedure technologies that will give you the smile you’ve been dreaming about. In addition to our traditional Titanium dental implants, Aptos dentist Dr. Heidari is now offering metal-free dental implants made of high-performance Zirconium ceramic which are suitable for patients with metal allergies and the chronic diseases resulting from them. We listen and respect your concerns and from the time you call our office to the time you leave, we cater to your every dental need. We bring you friendly service with a gentle touch in our spa-like dentist office. Rest assured that you’ve never been to a dental practice like ours here in Aptos and we guarantee your complete satisfaction with our services. Are you anxious and afraid of the dentist? If watching movies, nitrous oxide (laughing gas), or music in the headphones isn’t enough, then we’ll provide Conscious Dental Sedation to help you relax and feel comfortable. Simply put, Conscious Sedation Dentistry involves using a combination of techniques that safely and comfortably allow you to virtually “snooze” through your dental visit. Whether you need just a teeth cleaning and exam or you need more extensive dental treatment, our dentists here will make sure you get the service you need. Technological advancements make today’s cosmetic dentistry treatments more durable and predictable than in years past. 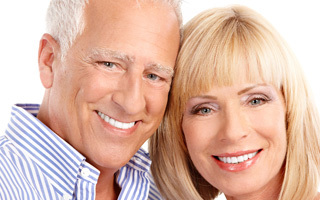 Dental implants for example, restore lost chewing ability and improve appearance. Porcelain Veneers can quickly and easily cover damaged or discolored teeth while Invisalign invisible braces can straighten teeth without having to use traditional wire braces. If you need your teeth cleaned or would like us to brighten your smile with one of our teeth whitening services then give us a call. If it is a complete smile makeover you’re looking for, or you need relief from the pain of impacted wisdom teeth, decayed teeth, or TMJ/TMD then we can help! No matter how challenging or difficult your dental situation, or if you or someone you know has special needs then we can help. If your teeth have reached the point to where they are an embarrassment, we’ll stop your dental misery and “turn back the clock” on years of deterioration with our restorative dentistry services. You’ll love seeing a healthy, vibrant smile and will feel great looking in the mirror again. If your looking for general and family dentistry services which would include teeth cleaning, tooth fillings, oral exams and more, then we would be a perfect fit for you and your family. If you’re looking for a smile makeover then our cosmetic dental and dental restoration procedures which would include dental implants, porcelain dental veneers, Invisalign clear braces, porcelain crowns, teeth whitening and more, would give you the smile you’ve always wanted. We want to be a partner in your oral health! We’ll help to make sure your teeth are healthy, feel good, and that they’ll last for many years to come. We’ll help you achieve and maintain optimal oral health that will contribute greatly to your overall health and well-being.